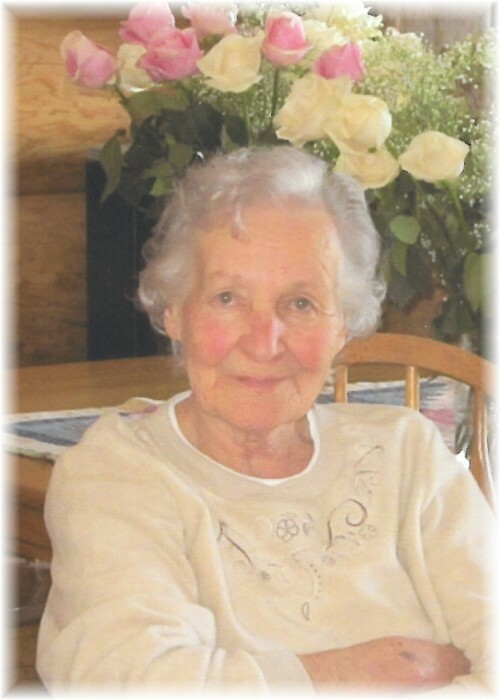 Verna Harrigan of Dauphin passed away suddenly at St. Boniface Hospital in Winnipeg on April 1st at the age of 86 years. She will be sadly missed by all who knew her. Verna is survived by her two sons, Jim (Barb) of Edmonton, Jack (Val) of Winnipeg; two daughters, Patty (Neil) MacDiarmid of Onanole, and Cathy Harrigan of Dauphin; sister-in-law Joan Kustra of Vancouver; 4 nieces, Pam Harrigan, Judy Sapinski, Bonnie Carlson, Bev (Daryl) Barrott; 4 nephews, Jack McMaster (Mary Jane), Malcolm (Maureen) Stelck, Gordon (Iris) Sapinski, Brian (Faye) Sapinski; and 8 grandchildren - Linde MacDiarmid, Jim MacDiarmid, Eileen (Wolffi) Brettner, Patrick (Shannon) Harrigan, Joseph Harrigan, Gina Armellino, Shannon (Peter) Czajko, Allison (Jonathon) Wiens; and 4 great grandchildren Connor, Claire, Samuel and Bennett, and numerous extended family. Verna was born in Dauphin, Manitoba to John and Helen Kustra, a sister to older sisters Pearl and Ivy and a younger brother Ken. Mom lived all her life in Dauphin where she received her education and met the love of her life, Martin Patrick Harrigan. Verna and Matt were married in Dauphin in 1952 and together raised four children. Mom was an energetic and busy lady working outside the home and creating a happy home for her family. She retired in 1983 and enjoyed pursuing her love of gardening and art. She cherished the times spent sharing these passions with her grandchildren whom she adored and who adored her. Verna was predeceased by her husband Martin, her brother Ken & sisters Ivy and Pearl. Mom will be remembered for the kind & gentle soul she was. "There will always be heartaches and always silent tears but always special memories of the time that you where here." A Graveside service was held on April 9, 2018 at 1:30 pm from Riverside Cemetery in Dauphin, MB with Fr. John Legitimas officiating. Pallbearers were Patrick Harrigan, Joe Harrigan, Jim MacDiarmid, Brandon Lelyk, Tyler Harrigan, Cody Harrigan.